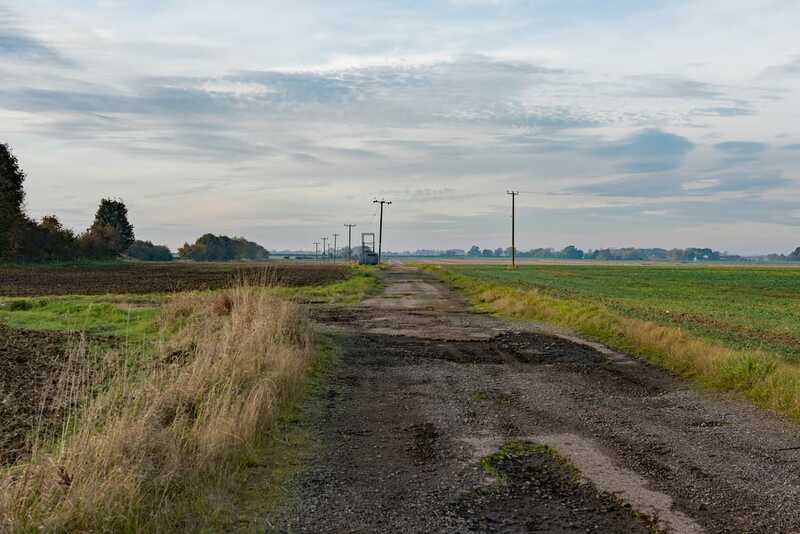 Those driving south-east down the B1225 road soon after leaving Ludford in all likelihood will give no real thought to the patch of open farm land on their left. 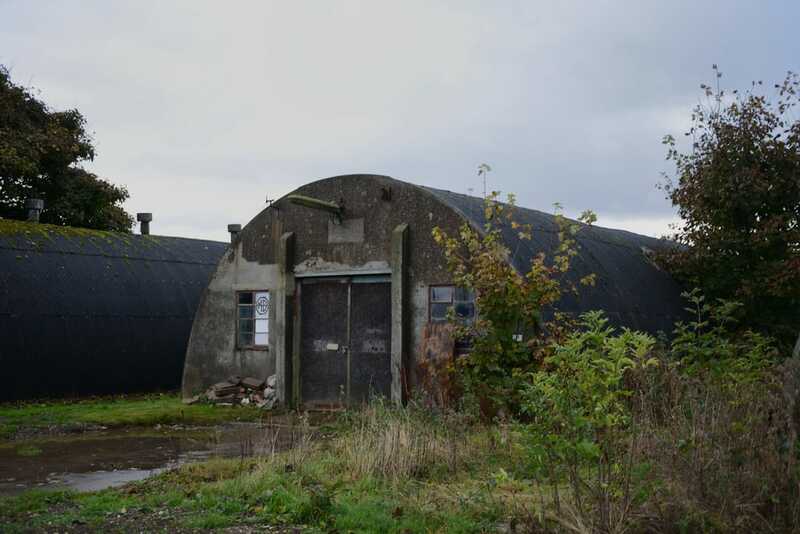 Why should they as there is no particular evidence now to suggest that this land once housed some of the RAF's most important and secretive of Lancasters. 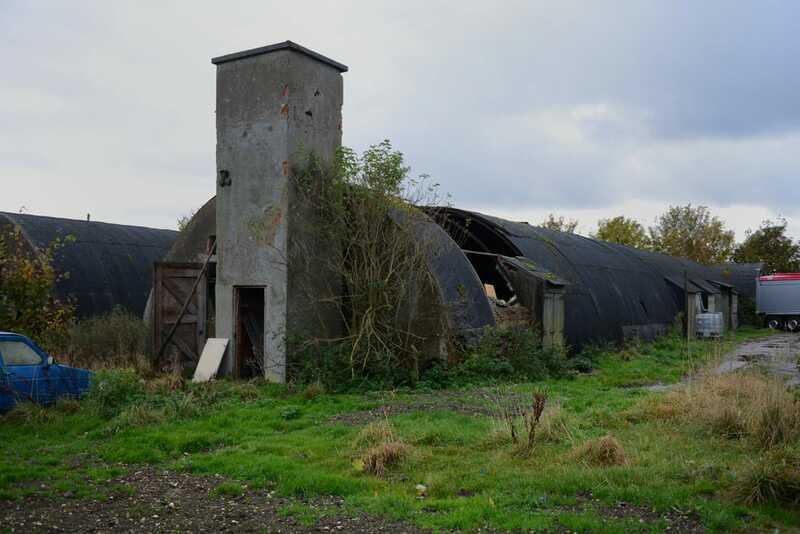 All is calm now at former RAF Ludford Magna but at the height of Bomber Command's offensive against occupied Europe, the airfield would have been a hive of activity. Many Lancasters and crew left Ludford Magna never to return, a higher proportion than was typical for a Bomber Command station. Their mission was not only to carry bombs but also to confound the Luftwaffe nightfighters and German ground defences as the world of electronic warfare evolved. 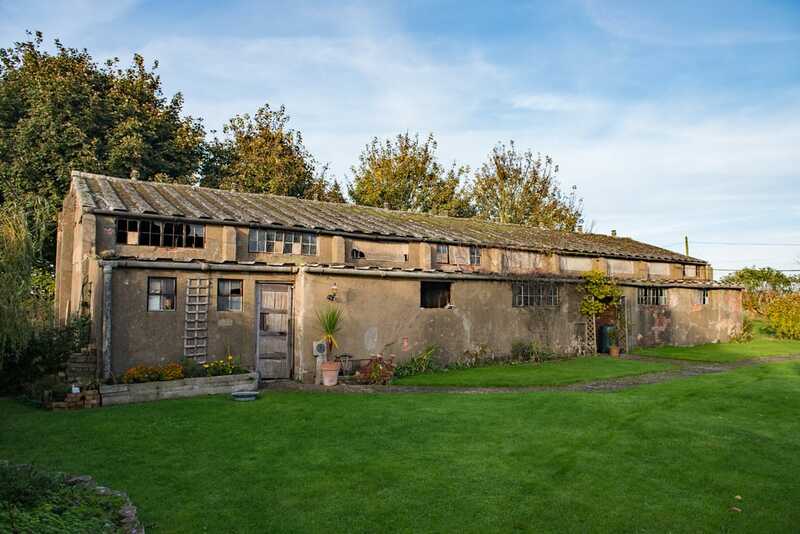 In June 1942 the contractor George Wimpey commenced construction of a Class A airfield at Ludford Magna. Three runways were laid 02-20 at 1,950 yards, 11-29 at 1,430 yards and 15-33 at 1,400 yards. Thirty six hardstandings were connected to the perimeter track. Hangars were provided in the form of four T2s off the southern perimeter, a single T2 to the east and a T2 & B1 on the station technical site near the village. Domestic, communal, mess and sick quarter sites were dispersed in farmland to the north of the airfield, with accommodation provided for 1,953 male and 305 females. Ludford Magna was an airfield built on a very temporary basis as were many Bomber Command fields of the day. 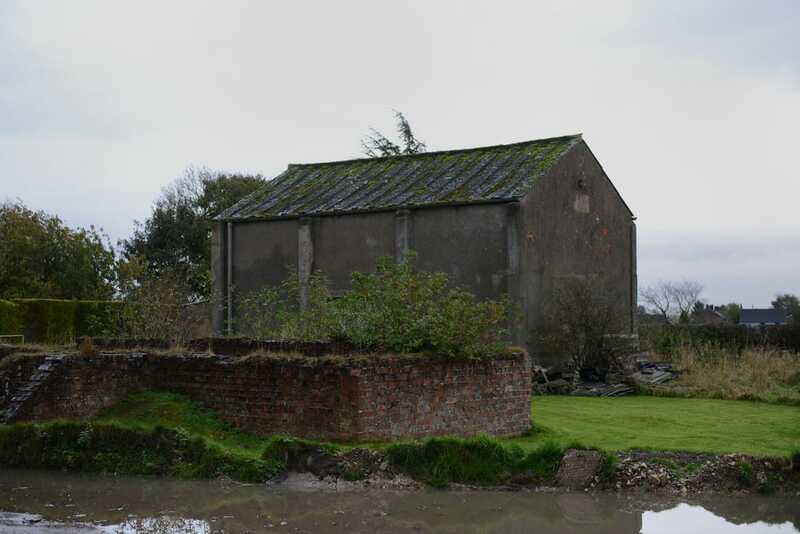 Being farmland in a previous life the airfield soon became know as Mudford Magna. At 430' above sea level Ludford Magna was the highest airfield in Lincolnshire which gave it a very exposed position in the Wolds. The main runway was aligned north to south which caused problems for aircraft of the day, especially Lancasters which could be a handful on take off and landing in a cross wind. ​The airfield was opened under the command of No 1 Group on 15th June 1943 with Lancasters of No 101 Squadron arriving from their former Yorkshire base of Holme-on-Spalding Moor. 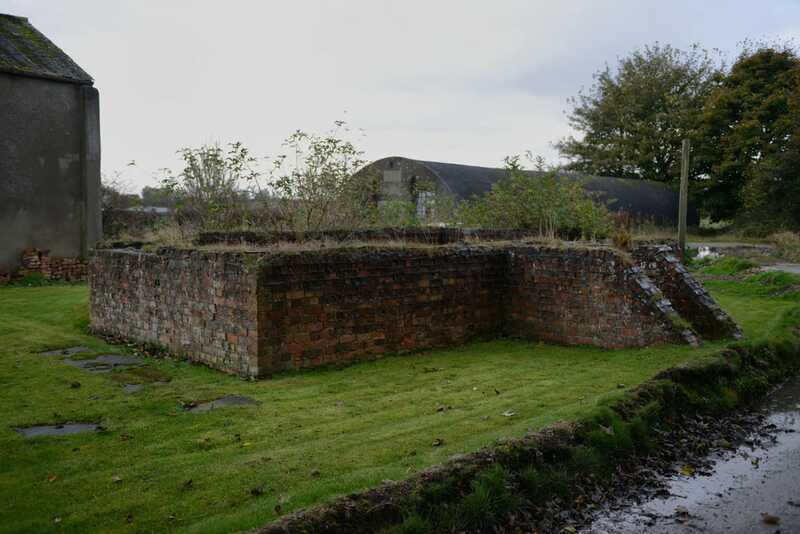 ​In October 1943 changes took place at the station when it took over RAF Wickenby as satellite. December of the same year saw Ludford Magna become headquarters of No 14 Base, adding RAF Faldingworth to its control. Later in the year in November it was proposed a second flying unit be created at the airfield. No 576 Squadron was to be formed using a nucleus of four crews from No 101 and others from No 103 Squadron, at the time based at RAF Elsham Wolds. However, the conditions at Ludford Magna were so atrocious and the facilities limited, No 576 went on to be formed at No 103's home base. Between the months of April and July 1944 No 1682 Bomber Defence Training Flight were stationed at the airfield. The Flight used its Hurricanes to carry out simulated attacks on Bomber Command aircraft to give gunners and crew training in how to tackle live fighter aircraft. 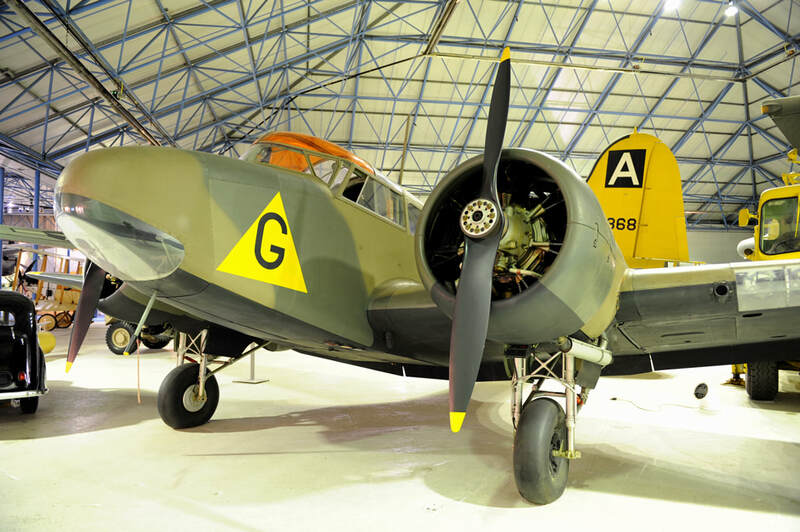 In connection with Ludford Magna's FIDO installation, an Airspeed Oxford of No 1546 Beam Approach Training Flight was detached to the field and used for trials and communications work. A post war re-organisation of Bomber Command saw No 101 Squadron move to nearby RAF Binbrook on 1st October 1945. After this the airfield was placed on Care & Maintenance and all flying ceased, although the runways remained intact for emergency use. The site was then handed over to the Ministry Of Agriculture with cultivation taking place between the runways. In 1958 part of the airfield was reactivated for use with Thor ICBM (Inter Continental Ballistic Missile). No 104 Squadron was formed in July 1959 to operate three ICBMs under the RAF Hemswell Missile Wing. Thor facilities stayed at the airfield until May 1963 when the missiles were withdrawn and the squadron disbanded. Ludford Magna due to its location high in the Lincolnshire Wolds made it probably one of the worst airfields that RAF personnel could be posted to. Not only was 101 fighting German nightfighters and ground defences but also the weather. 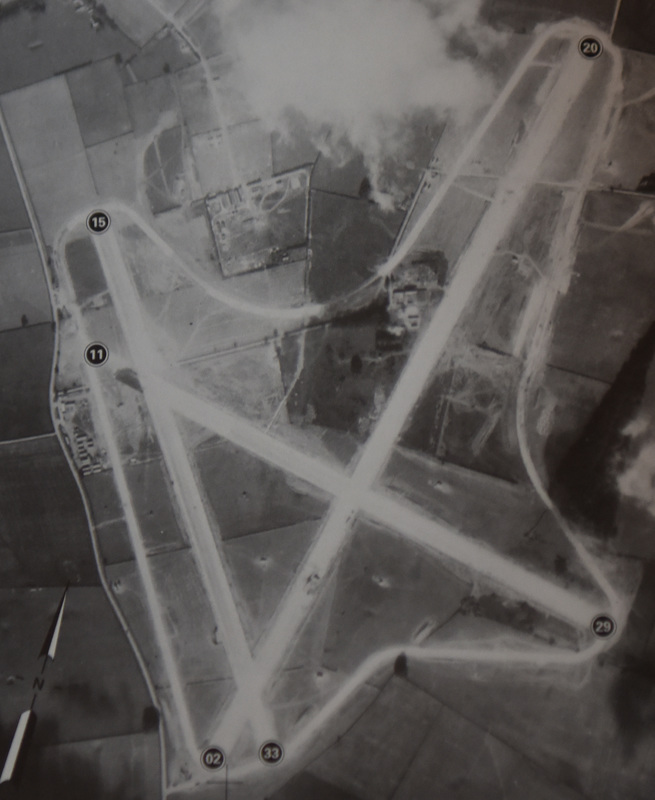 Given the importance Bomber Command placed on 101's operations Ludford Magna was one of the first of Lincolnshire's airfields to be equipped with FIDO ( Fog Investigation & Dispersal Operation). The installation took place in 1944. The system consisted of pipelines being installed along the length of the main runway through which fuel was pumped and then ignited at burners. 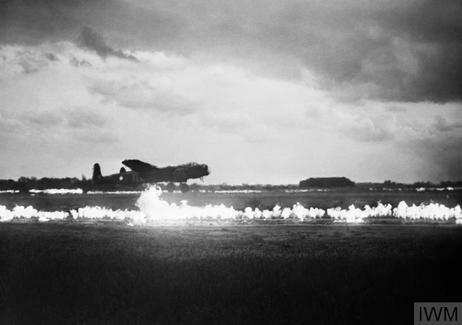 ​The result was a wall of flame from which the heat would disperse any fog thus allowing aircraft to locate the airfield and land. 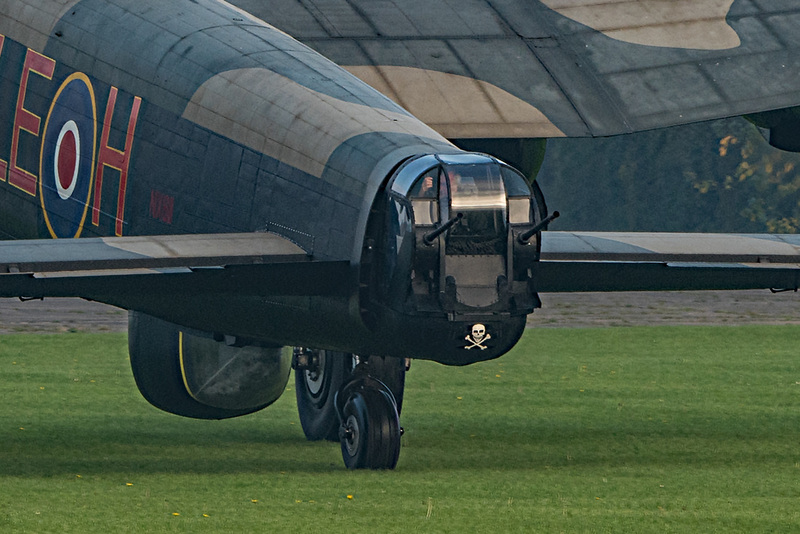 ​One interesting effect from FIDO was the difficulty of landing four engined bombers when it was lit. The aircraft tended to float on the thermals created by the heat. This necessitated aircraft having to be flown on to the ground rather than using the usual method of flaring. The cost of running FIDO was colossal but this was offset in the saving of aircrew lifes, when weather conditions on return to base were challenging to say the least. To all intents and purposes No 101 was the only squadron to operate from Ludford Magna during World War Two. The role of the squadron was of a specialist nature and its only right to explain and expand on their exploits here. ​Following their arrival at the airfield from Holme the squadron were soon in action. On 21-22 June 1943 an operation to Krefeld resulted in 101's first loss whilst flying from their new home base. 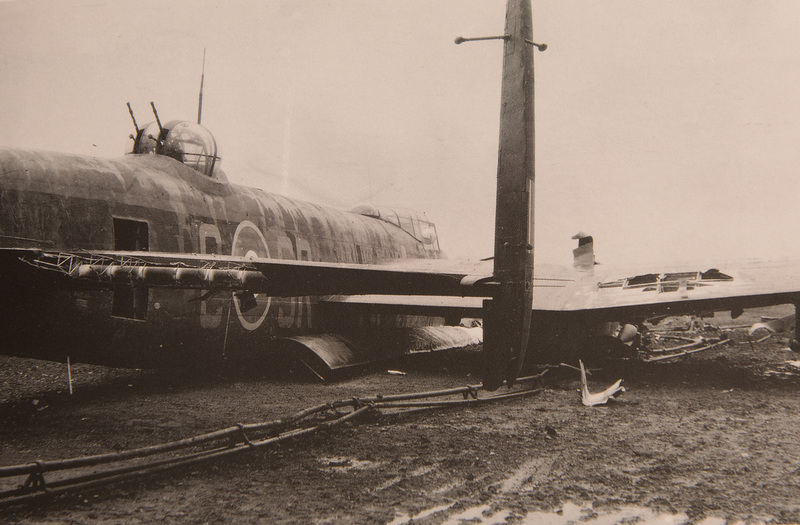 Lancaster I ED650 SR-L crashed near Monchengladbach with the loss of all crew. This was to be the first of many losses that No 101 was to suffer in the coming months and years. The 17 & 18 August 1943 saw No 101 taking part in one of the most important raids of the Second World War to date. The Allies had become aware that a new form of weapon was being developed by the Nazis. This was the V-1 flying bomb and the V-2 ballistic missile. Bomber Command were tasked to attack the research facility at Peenemunde and destroy the site, or at least delay production. ​Forty aircraft were lost on this raid, but on this occassion, 101 suffered no losses with twenty aircraft taking off from Ludford Magna with seventen reaching the target to bomb. It is estimated that the attack delayed V-2 production by two months. The Peenemunde raid saw the first use of Schrage Musik armed nightfighters by the Luftwaffe. These aircraft were fitted with upward firing cannons which allowed the fighters to sneak up under the bombers without being seen by the defending gunners. Once under the bomber the fighter would open fire with devestating results to the unfortunate target. Ludford's first commander was Group Captain Bobby Blucke a man well suited to the task of electronic warfare. Blucke as a pilot had previously been involved in the development of radar and when war broke out, work with Blind Approach Training and Wireless Investigation Development. As Bomber Command's offensive over occupied Europe increased the German defences duly responded and a game of cat and mouse developed between the two sides. Radar guided Luftwaffe nightfighters started to take an increasing toll on the RAF bombers. There was a need within Bomber Command for electronic countermeasures to be further implemented to thwart the increasing German defences. First came Window, strips of aluminium foil designed to confuse radar, followed by Airborne Cigar. The 101 squadron Lancasters carried an eighth crew member to operate the special equipment. 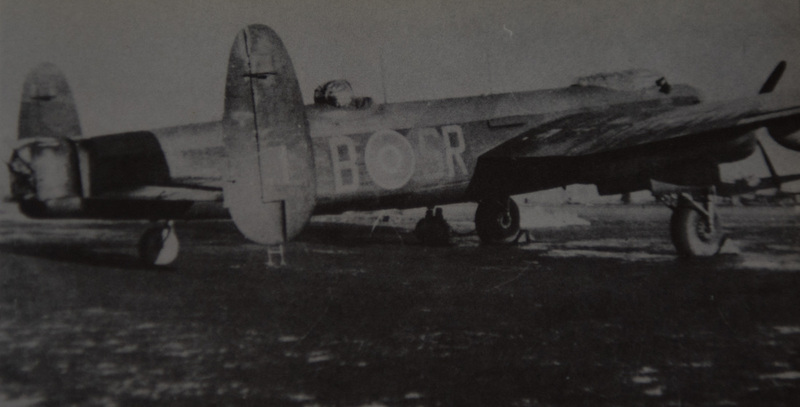 Whilst on the ground the aircraft would always be under armed guard which again shows, just how concerned the RAF were, in ensuring the aircraft remained secret. The equipment within the aircraft consisted of a panoramic receiver and three 50 watt transmitters, each capable of sending out frequency modulated jamming signals. The transmitters were tuned to the wavebands of 30-33 MHz, 38.3-42.5MHz & 48-52 MHz as used by German radios. The equipment which weighed in at over 600Ibs was located in the Lancaster's mid section. The extra weight of the special equipment would dictate that the 101 Lancasters carried 1,000Ib less in bomb load. The extra crew member, known as a Special Operator, would locate and lock on to Luftwaffe nightfighter controller transmissions and then use transmitters to jam the signals through the Lancaster's aerials. The crewing up of bomber crews took place at Operational Training Units where, through a strange ritual, individual aircrew mingled and eventually came together as a fully formed crew. This led to a tightly knit bond between the crew members and often resulted in the Special Operators, "specialists" being classed as "outsiders" as they were not part of the initial crewing up process. The specialists often formed their own group within the squadron and were billeted in their own quarters away from other aircrew. It is sometimes stated that the reason for this was should they talk in their sleep, no one else would hear them give away their secrets ! ​​​On 22-23 September 1943 the first extended trial using ABC Lancasters took place when two aircraft took part in a raid on Hanover. It was on this raid that the first German words were heard by an ABC Operator, "Achtung English bastards coming" a phrase which has gone down in No 101 Squadron legend. The following night three ABC Lancasters were sent to Mannheim where one, JA977 SR-J, flown by F/O Don Turner was damaged by enemy action, which resulted in the Lancaster exploding shortly afterwards. Two crew survived to become prisoners of war. By the 6 October half of No 101's Lancasters on strength had been converted to ABC. The first full scale operation for the ABC Lancasters took place on 7-8 October 1943, when three hundred and forty three Lancasters raided Stuttgart with no loss to the squadron. So began operations for the ABC Lancasters which saw them taking part in all Main Force raids, this goes to show the importance placed upon their capabilities in taking on the Luftwaffe's ground and air defences. At least eight ABC Lancasters were expected to fly spaced at eight mile intervals in the bomber stream to give maximum jamming coverage. Even on nights when No 1 Group was stood down, 101 was still expected to contribute its aircraft to support other Groups. This would make the squadron one of the busiest in Bomber Command, with little rest for the crews. Consequently with such a high number of operations taking place, 2,477 sorties to be precise, No 101 lost one hundred and seventy one ABC Lancasters whilst flying from Ludford. This resulted in the loss of seven hundred and forty men killed, ninety six of them with no known grave. It can easily be seen why No 101 suffered one of the highest loss rates in Bomber Command throughout the war with one thousand and forty men killed. The Squadron took part in many notable operations which included the Battle Of Berlin and the disastrous attack on Nuremberg over the night of 30 & 31 March 1944. On this night Bomber Command lost ninety six bombers ​making this the highest loss on a single raid of the war. Seven 101 Lancasters failed to return from Nuremberg a huge loss to the close knit squadron. Another raid with a large loss took place on Mailly-le-Camp 3 & 4 May 1944. 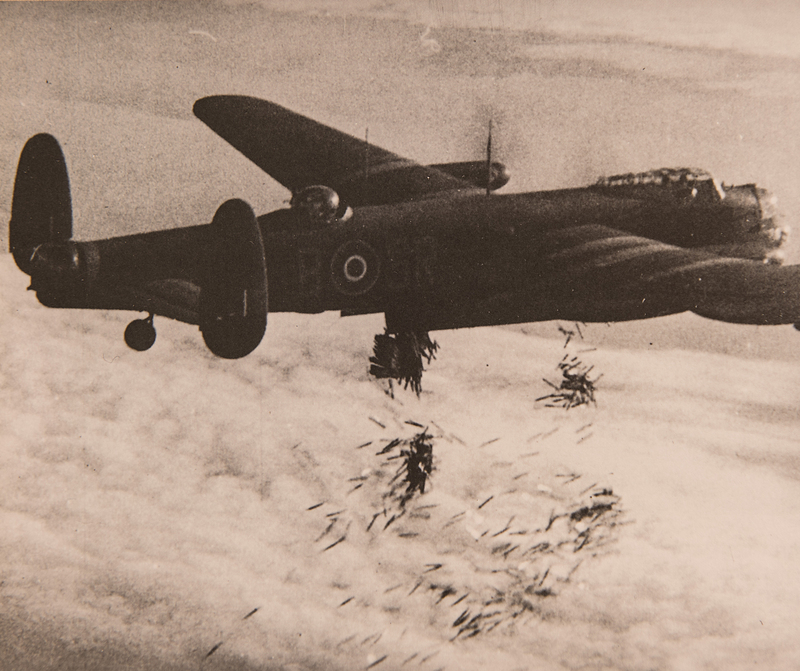 Forty three bombers failed to return, four from No 101 Squadron. On the night of the 5/6th June 1944, D-Day, twenty one No 101 Lancasters were over the Channel to assist in stopping any Luftwaffe nightfighters attacking the troop laden transport aircraft, engaged in the operation to liberate Europe. In the dying days of the Luftwaffe they were still able to make a nuisance of themselves. On 3rd March 1945 an intruder shot up up Ludford Magna and village. Luckily very little in the way of damage was caused and the intruder escaped unscathed. No 101's final raid of the war was on 25th April 1945 when Hitler's Berchtesgaden was attacked, thankfully with no loss to the Squadron. Frustrated by the slowness of the usual design and procurement processes for equipment, he approached the Gainsborough engineering company, Rose Brothers, to come up with a turret design that would house more powerful guns. The Rose Turret, as it was christened, was duly designed and delivered by the company ready for installation into Bomber Command Lancasters. The design consisted of two 0.5" Browning machine guns which offered a greater range and with a bigger bullet, more destructive power and penetration. The design also allowed the gunner to sit on his parachute and to escape out of the front of the turret in the event of a bail out. Teething troubles with vibration when firing saw the turrets introduction further delayed, however, by May 1944 the turret was ready to be used operationally. The first squadron to receive the new turret was No 101 when two of their Lancasters were fitted with new installation. The turret was not a complete success as the guns suffered from stoppages and were known to be not as reliable as their .303" counterparts. ​The new turrets did have a much better field of view and coverage of fire which may account for why Lancasters fitted with the installation suffered fewer attacks. It again goes to show the importance put on 101's operations that they were chosen to be equipped with a weapon that was designed to better defend themselves. Whilst many Lancasters were lucky to see even a small number of operation before being lost, two from No 101 Squadron achieved over one hundred missions whilst flying from Ludford Magna. Lancaster III DV245 SR-S, affectionally known as "The Saint", clocked up one hundred and eighteen operations, including nine trips to Berlin and the raid on Nuremburg. DV245 commenced operations on 7/8 October 1943 with a raid on Stuttgart. On the 23/24 February 1945 the Lancaster was taking part in a raid to Pforzeim when an Me262 jet fighter was spotted by the Air Bomber F/O John R Drewery. F/O Drewery promptly manned the front .303 Browning machine guns and fired three bursts at the Luftwaffe fighter. His bullets were seen to hit the Me262 which caught fire and dived towards the ground, where it exploded upon impact. DV245 was lost on its one hundred and nineteenth mission, a raid to Bremen on 23 March 1945 which saw the aircraft being the last 101 Lancaster lost during the war. Despite conflicting accounts it seems likely the crew were all lost. 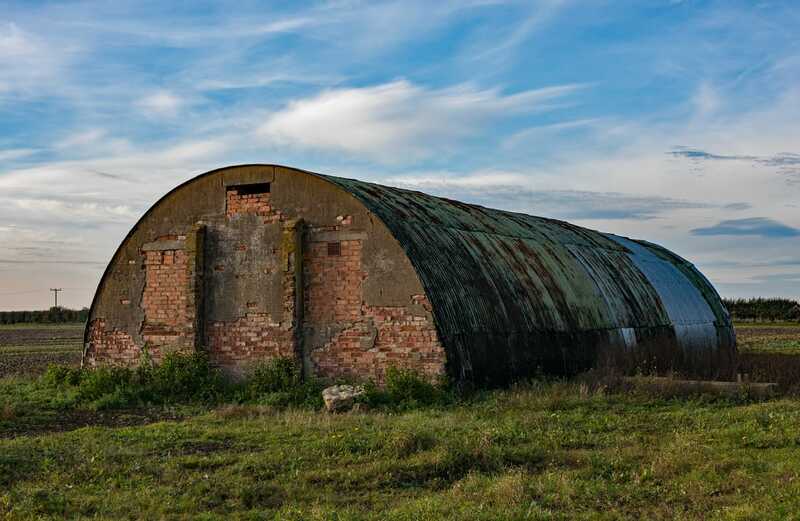 Today very little remains at RAF Ludford Magna to show what would once have been a hive of activity at one of Lincolnshire's most important of Bomber Command airfields. The runways have all but gone but parts of the perimeter track remain. Small areas of the dispersed site are still in existance, most now in use for purposes very different for which they were designed. ​The Thor sites are still in existance but not accessible to the public. 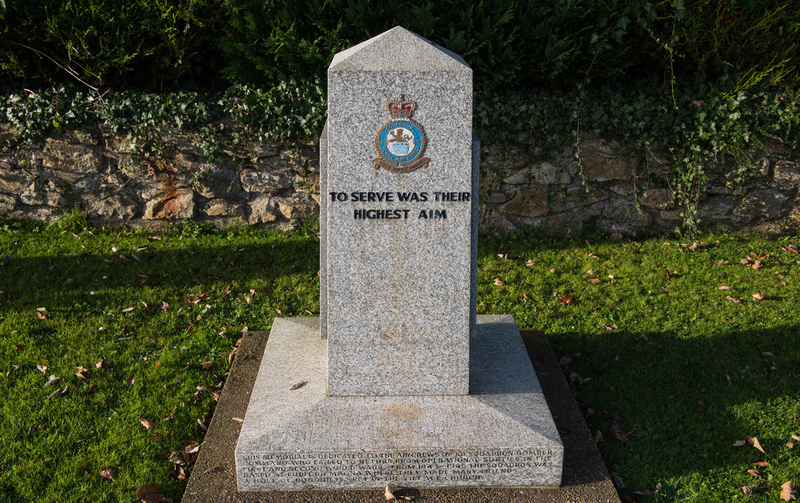 A memorial in the village now stands as silent witness to No 101 Squadron and the sacrifices made by its gallant crews and personnel. For anyone who wants to know more about what live was like in No 101 Squadron whilst flying from Ludford Magna, the book Carried On The Wind by Sean Feast is a must read. The book recounts the memories of Flt/Lt Ted Manners who was a Special Operator with 101 and who took part in many of the Squadrons most daring raids. ​Click on images to enlarge. 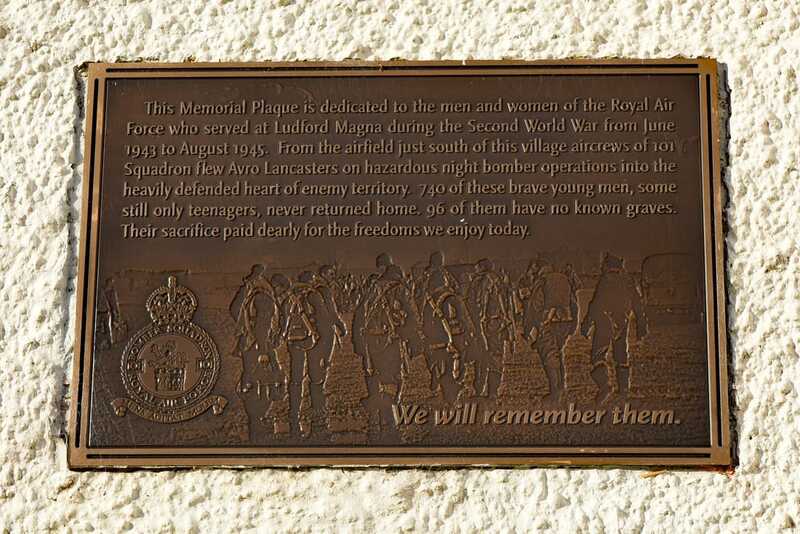 Memorial plaque to No 101 Squadron located on the wall of the White Hart pub in Ludford Village. The hostelry was frequented by aircrew from RAF Ludford Magna.